BioMulsion JointGuard is a unique combination of pure fish oil concentrate from anchovies blended with glucosamine hydrochloride, vitamin E and ginger resulting in a smooth textured emulsion with a great taste. SKU: BIO323300. 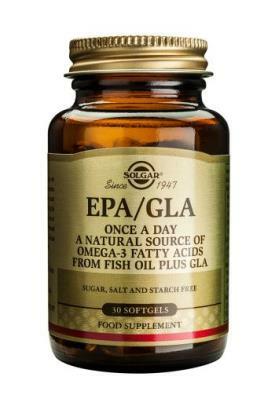 Categories: Deal of the Season, Fish Oils & Omega 3, Glucosamine Complexes. Our joints are subject to wear-and-tear every day, but as they get older they get more susceptible to injury, which may result in impaired mobility. Until now, this has been a normal (if unacceptable) part of the ageing process. 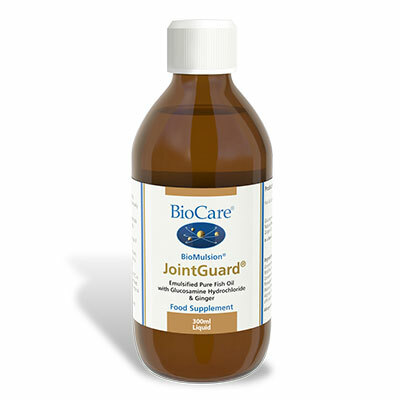 JointGuard provides nutrients that may help support the flexibility and integrity of the skeletal system. 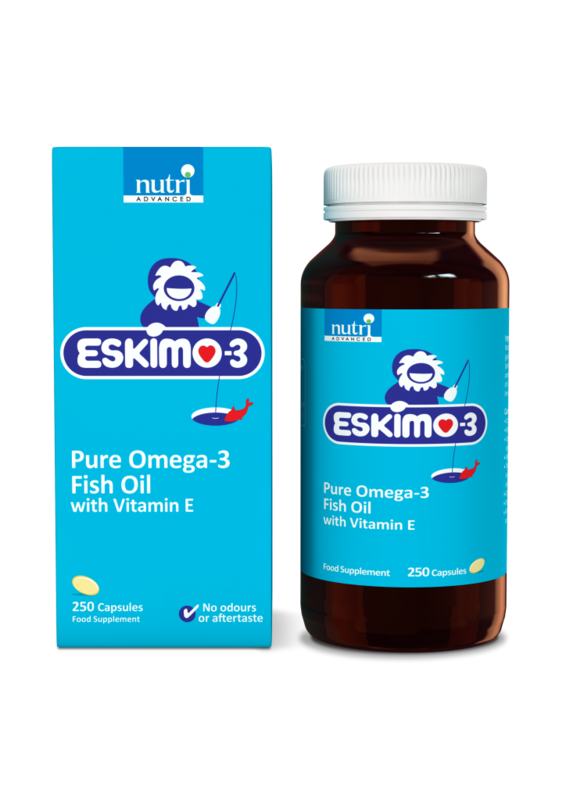 Fish oils have been shown to provide the valuable essential fatty acids EPA and DHA and are a natural means to help maintain flexibility of the joints. Glucosamine is a known and well respected natural ingredient in the support of joints and synovial joint fluid and is also important for their healthy function and repair. The formulation also contains ginger which is a known warming agent and can help improve circulation to the extremities. JointGuard, like many of the products within the BioCare EFA range, is emulsified and can be added to water or juice for ease of use and maximised absorption. BioMulsion JointGuard is emulsified for optimal absorption. One tablespoon (15ml) taken daily with food or as professionally directed. In a base of : Natural orange, pineapple, mango, prebiotic oliosaccharides & alginate. Concentrated Pineapple Juice, Fish Oil Concentrate1, Fructose, Modified Corn Starch, Water, Glucosamine Hydrochloride,, Concentrated Orange Juice, Mango Puree, Ascorbic Acid, Pineapple Flavour, Banana Puree, Acacia Gum, Antioxidant (Natural Mixed Tocopherols2),, Vanilla Flavour, Sunflower Oil, Alginate, Preservative (Potassium Sorbate), Ginger Oil (Zingiber officinalis), Citric Acid.